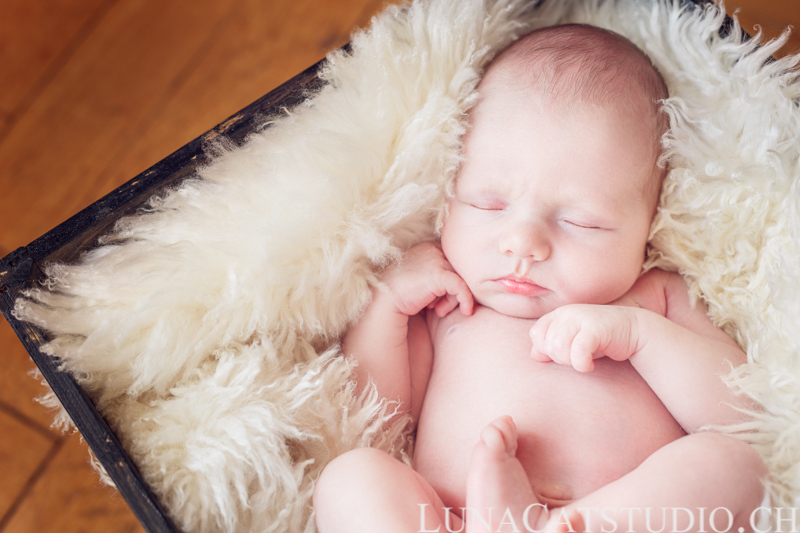 As a newborn photographer and a wedding photographer, I am able to follow the couples through different steps of their family life. If you remember the beautiful wedding day of Elise and Antoine, you must recall this couple was expecting a wonderful event. 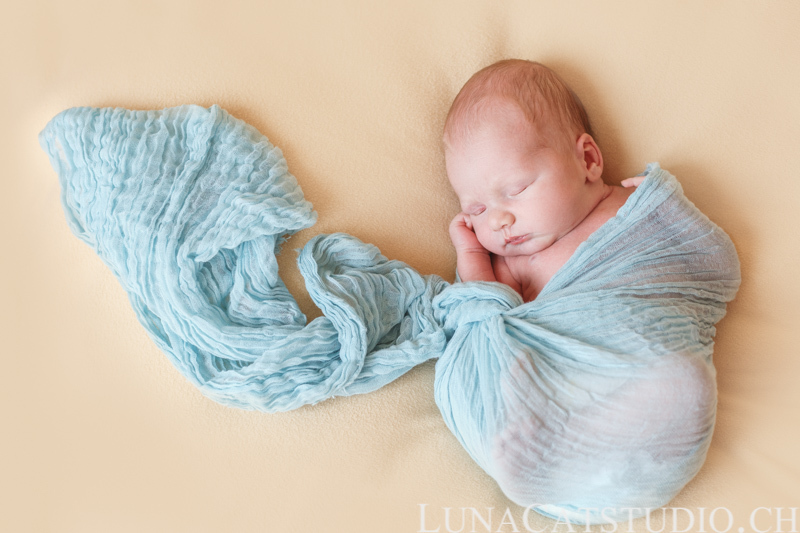 This is therefore with no small joy that I accepted to photograph their lovely new addition to the family when they asked me if I could be their newborn photographer. A renewed confidence I am really honored about! 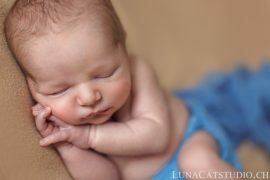 Therefore, I was happy to photograph the beautiful Léonard 11 days after his birth. 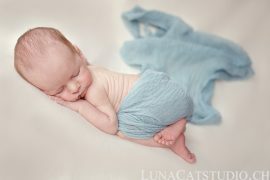 Léonard was wonderful with me, he slept comfortably during the whole photo session and tried to have a conversation with me during his sleep, that was just so adorable of him! I always prepare specific photo accessories for newborn photo sessions but I also like to customize the client’s experience by including special objects from the family, as it was the case for Luca’s newborn photoshoot using his dad’s football helmet. In Léonard’s case, the parents nicely let me wander around their house and I stumbled upon a wonderful wooden box I could not not use to support Léonard. I always talk about this customization process with the parents but you cannot always imagine how I could use a specific object. That is why sometimes I look crazy using some objects but the result always speaks by itself :). 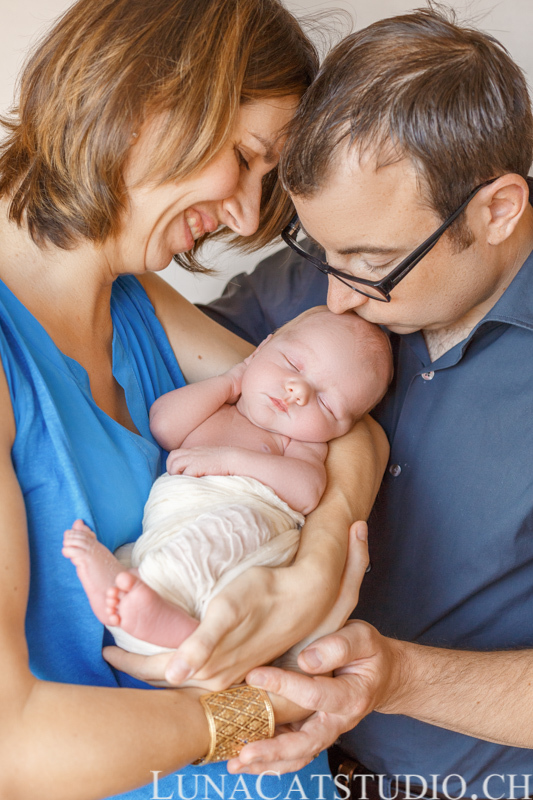 The small family being complete, we could peacefully make some family portraits with the so-sleepy Léonard that I cannot thank enough for making this photo session so smooth :). 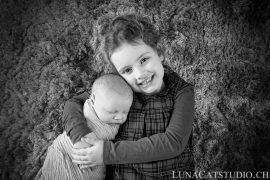 Follow LunaCat Studio on Facebook – Google+ – Twitter – Pinterest for other news as a baby photographer Lausanne.